information and a new section on famous French, British and American personalities. 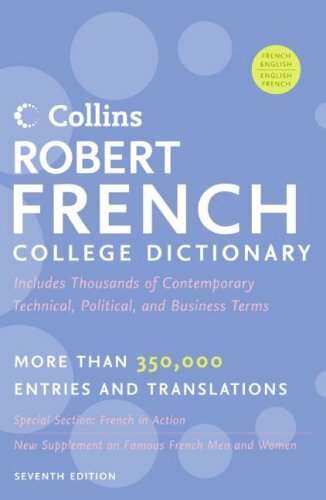 With this seventh edition you will: Speak confidently: This edition offers the latest vocabulary from a wide range of fields, including IT, cell phones, and computers-language crucial for today's lifestyle. Get it right: The in-depth treatment of regular and irregular verbs (such as avoir, faire, aller, and venir) as well as practical tips on spoken and written French make this dictionary the ideal tool for intermediate to advanced learners. Get there fast: The accessible color layout ensures that you will find the information you need quickly and easily.